Extreme narcissistic organizations are unable to behave ethically because they lack a moral identity. While such organizations are not necessarily unethical intentionally, they become self-obsessed and use a sense of entitlement, self-aggrandizement, denial, and rationalizations to justify anything they do. 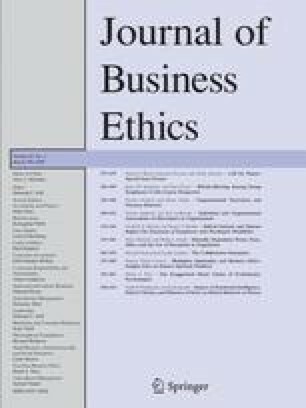 Extreme narcissistic organizations might develop formal ethics programs, but such programs will have little effect on behavior. 2.University of Texas at San AntonioSan AntonioU.S.A.